Why should GIS software packages have all the fun? Of course it shouldn’t and remember this works both ways. There is some great CAD data out there “locked away” in DWG formats that aren’t always readable inside of GIS software packages. 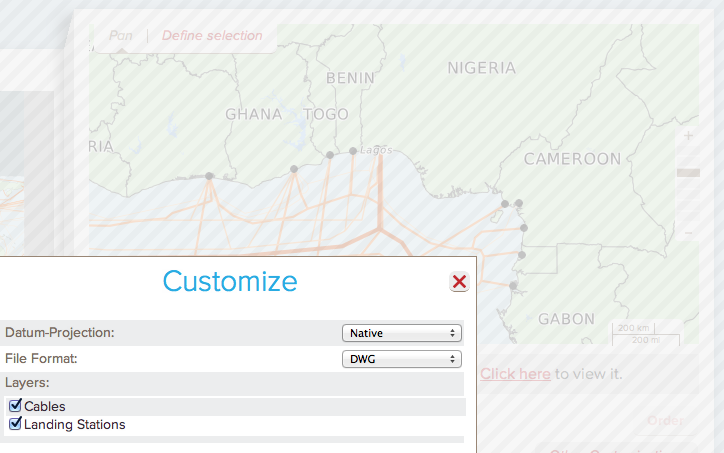 We just enable that for every vector dataset in WeoGeo. Sweet! This is a different philosophy from some other companies. They’d rather engineer plugins to tools to enable their GIS services into apps. This is great for their business model, but not for your workflow. Simplicity is how you get people to actually use data, not some huge add-on that requires lots of money, time and effort to get working. As a co-worker said years ago to me while she was trying to order some demographic data, “Just give me the damn data!”. Exactly, we give you the damn data in your preferred format. When you list your data in the [WeoGeo Market], your data is accessible to users on any supported platform without you having to do a thing. Out of the box support for hundreds of formats. Brilliant!